Egypt's President, Abdel Fattah el-Sisi has been elected chairman of the African Union at the continental body's summit in Ethiopia. African Union chairmanship is given to the leader of a country every year through elections. Even though they do not have great authority, being elected as term chairman of the AU has symbolic value and by all means the character and record of President el-Sisi after being in office for over five years is one which should not be rewarded with a continental mandate. Al-Sisi effectively took power in a coup d'état July 2013 and became president in June 2014. His flagrant disregard for human rights has led the country into its worst rights and political crisis in decades. Rights organizations, including Human Rights Watch, have documented a host of serious abuses by the police and National Security Agency (NSA), the leading internal security force under the Interior Ministry, including routine and widespread torture of detainees. No single official or member of the security forces was investigated or prosecuted nearly five years after the mass killings of the largely peaceful protesters in the Rab'a Square in Cairo, where supporters of former President Mohamed Morsy gathered for weeks. At least 817 protesters were killed in one day, most likely a crime against humanity. Under al-Sisi's government, the number of detained peaceful dissidents has grown to the tens of thousands. At least 20 journalists are currently in detention. The abusive atmosphere during al-Sisi's presidency has been coupled with special concerns for the rights of minorities. Coptic Christians, an estimated 10 percent of the Egyptian population and historically a target of widespread legal and social discrimination, have been the victims of increasing sectarian attacks since al-Sisi rose to power. In a number of cases, Human Rights Watch has documented that Interior Ministry officials and prosecutors did not properly investigate or bring charges for these attacks. 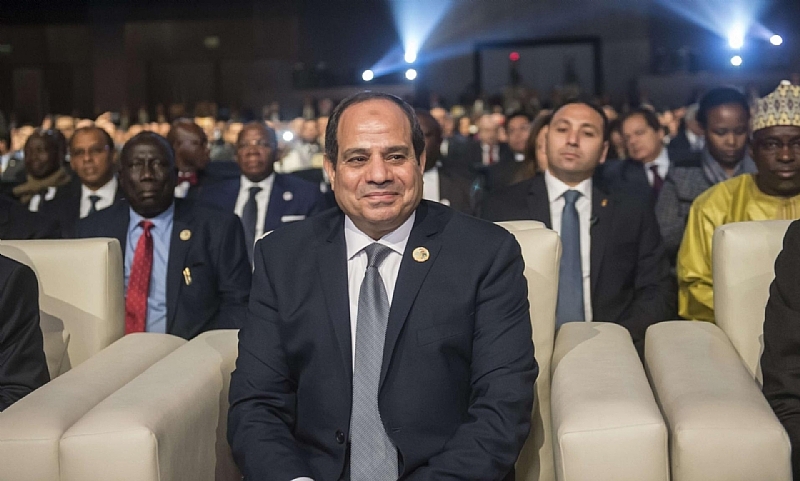 Sisi's lust for power as well as his abusive autocratic policies should not become 'the new normal” in Africa. His AU chairmanship is a mockery of democracy and a clear manifestation of what the continental body has become- a banquet of disengaged leaders who gather annually to drink away their failures at home.